SIMS, N.C. — Arden E. “Ardie” Phillips, 79, formerly of Sherman, N.Y., passed away Tuesday, Jan. 29, 2019. The visitation will be at Wilson Memorial Service, 2811 Fieldstream Drive, N, Wilson, N.C., on Saturday, Feb. 9, at 11:00 a.m., followed by a memorial service at noon. Ardie was a hard worker all his life. He owned and operated his own bowling establishment for several years in his hometown of Sherman, N.Y. In 1975, he moved to Wilson, N.C. to take the position of assistant manager with the local bowling lanes, eventually leading to the management position of the lanes. Following his management of bowling establishments in Wilson, Houston, Texas and Cary, he then went on to work for and retired from Merck Pharmaceuticals in Wilson. After retirement, Ardie began a part-time position at Wedgewood Golf course. He enjoyed mowing the lawns and helping around the course. Ardie was a graduate of Sherman Central School in Sherman, N.Y., and of Embry-Riddle Aeronautical School, Miami, Fla. 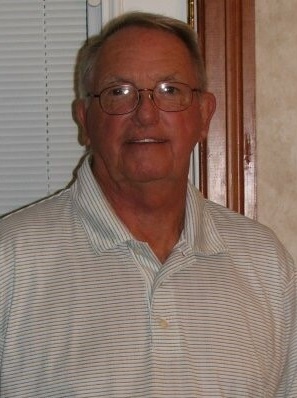 He loved playing golf and was also an avid Cleveland Browns fan. Surviving are his wife, Manuela Tamondong Phillips; sons: Gordon (Renee) of Farmville, N.C., and Brent (Mary) of Greenville, N.C.; daughter, Nikki Edwards (Josh) of Wilmington, N.C.; four stepsons: Christian, Ryan, Richard and Raymond; eight grandchildren and six step-grandchildren; nieces: Paige Crandall of New York City and Kerry Crandall of Black Mountain, N.C.; and his two cherished cats: Sara and Cubby. He was preceded in death by his parents, Gerald B. Phillips and Margaret Gabriel Phillips Medwid; and a sister, Charlotte Phillips Crandall. In lieu of flowers, the family is requesting donations to his wife Manuela. Arrangements are by Wilson Memorial Service, Wilson, NC, (252) 237- 7171, www.wilson memorialservice.com.